Yesterday I shared Big Little FELT Universe. Today Rae shared Sewing for BOYS. And now I've got one more for you! Books are in the air! If you have kids, if you love to sew, if they love to sew, if you want to teach them to sew, if you just want cool projects to do with kids....well, this is the book for you! Seriously, it's awesome. 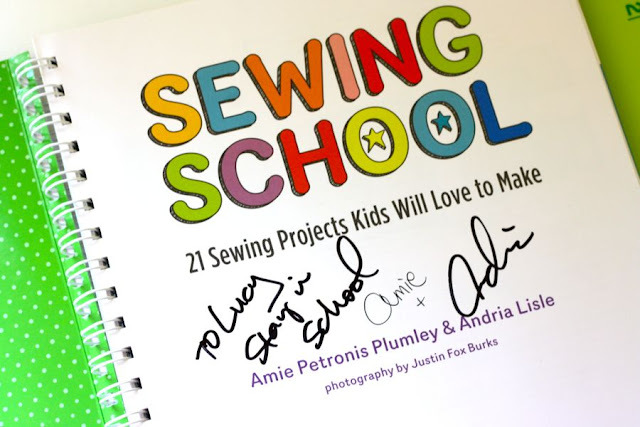 Amie and Andria are two moms who teach a sewing school for kids in Memphis, TN. The school has been such a hit with the community that they turned it into a book, called....Sewing School. BRILLIANT. I ran into the two of them at the Quilt Market this fall where they were signing books. So I got a special copy for Lucy (which will make a great Christmas gift in a year or two). I wish I had this when I was younger! And I asked them if they'd like Celebrate the BOY by giving away a few copies to you. 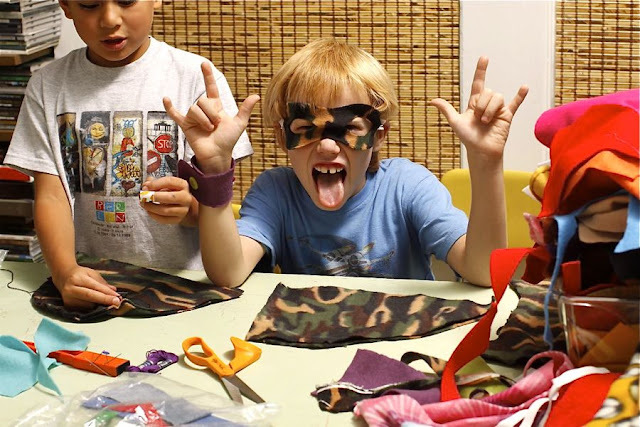 The topic about when and how to teach your kids to sew often comes up in our blogging circle. And if you're itching to get your kids involved, this is the perfect place to start....with a book aimed at kids themselves. Sewing School walks kids through basic stitches, explains what should be in your sewing basket, teaches them to troubleshoot (in terms they understand), and has a wide variety of projects they can do on their own...both by hand and with a machine. And all the patterns needed are at the back of the book. How happy does this photo make you? Two boys sewing! 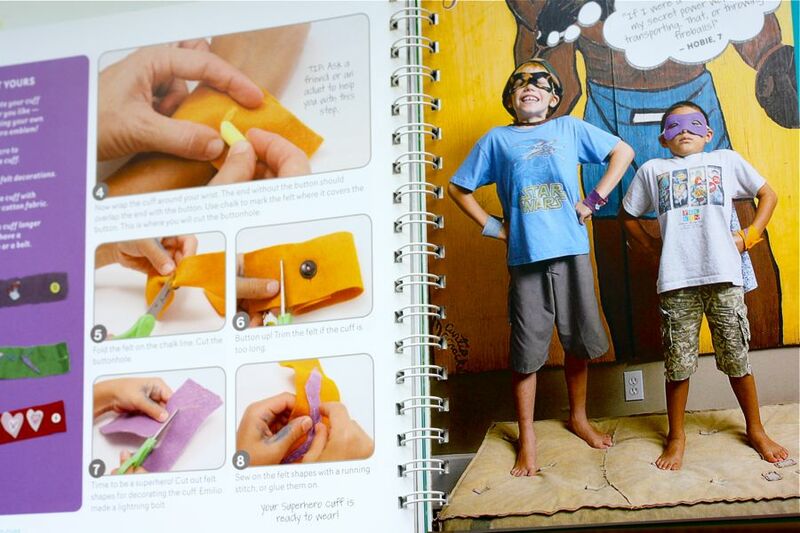 The book is for boys, for girls, for anyone who likes to be creative! And mostly, the book is just fun. I want to jump into the pages and sew along with them. Would you like a book? Today we're giving away THREE copies! 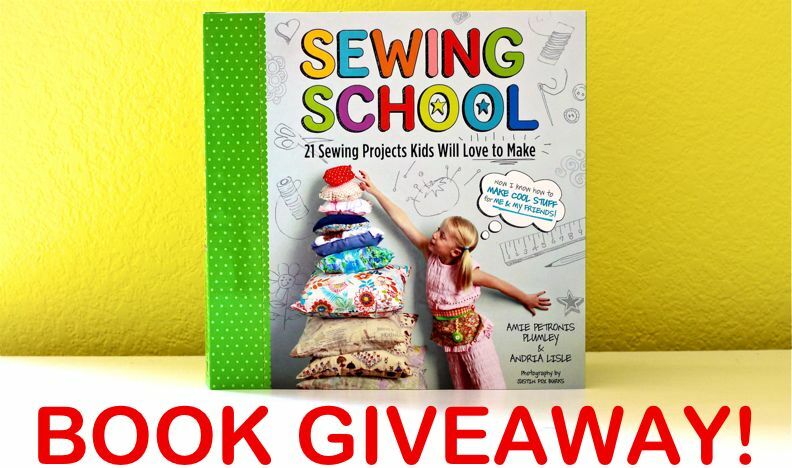 * A copy of the Sewing School book will be mailed to the winners. * Giveaway ends Friday 3/11/11 at 8pm (Central Time). Winners will be announced Sunday evening. Cool! I'd love to win! Looks like an amazing book. I am crossing my fingers that I will win. If not, I will have to buy my little girl one! Oooh! My 5-year-old little guy is just starting to really ask me about how to sew things---he (and I!) would LOVE this! I just started teaching my 5 year old girl how to sew. She would LOVE this! This book looks so awesome!! My older girls (8 & 10) would love it!! My 8 year old just sewed herself a purse this week ALL ON HER OWN! I was so impressed!! Aw, my mom is teaching my daughter to sew, would love to have this for her and I to do together! wow, that would be so much fun to have! I know 2 very special someones that would luv this book.... Hope I win a copy. Thank you Dana for so much cool stuff!!! My boys love to sit on my lap while I sew. They would think this was so cool! Love this...my son who is ten keeps asking, but I don't know how to teach him! Oh this book looks so cute!! I would love it for my kids! This is such a great book! I would love to share it with my little one. Oh my gosh! My daughter is always asking to sew with me. This book is right up her alley! my daughter would love this book. looks like fun! This would be a lot of fun with the kids. This ones been on my "want" list for awhile now. I would love to win it! my 5 year old daughter likes to sew and is working towards earning her very own... slower sewing...sewing machine and she can't wait! This would be a great book for her!! Another Great book that we would greatly love to have. Looks great! My daughter is very interested in sewing and the projects look really simple, but attractive! What a fun book!!! My kids and I would love it! I'd love a chance to win this book; like you, I'd tuck it away for a future gift for my daughter. Thanks! Wow! This looks like a fabulous book. I would love to win it. I'm looking for some inspiration and it looks like this book would be a great source! My niece would love this book!! Thanks for the giveaway! Very cool. My daughter is really ready to craft now, this would be a great introduction. Ohhh, I have already been looking at this book... I would love kid friendly projects to get my wee-ones started and excited about sewing. :) ericandursula(at)embarqmail(dot)com Thanks for the chance to win. That looks like so much fun. I have a nearly-5-year-old who is constantly bugging me to teach her to sew. Looks great, my eldest son is always saying, can I help? can I sew? So this would be great! Thankyou Pauline. Yea! 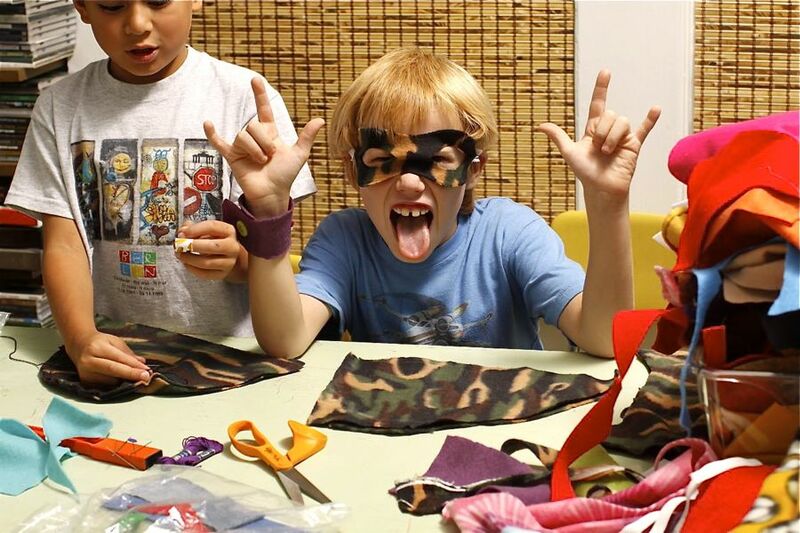 Not only am I looking for simple projects for my three little to people to sew, but I love to introduce their friends and classmates to sewing as well. Love it! This book looks AWESOME! I would love it to use for my kids! Would love to win this book! 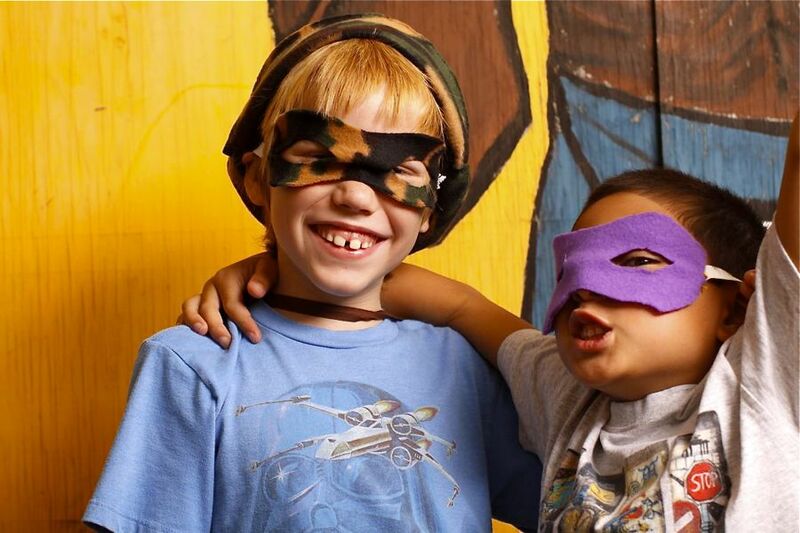 I have two boys that would love to learn how to sew 'like mom'! That book looks awesome! My daughter would love it. 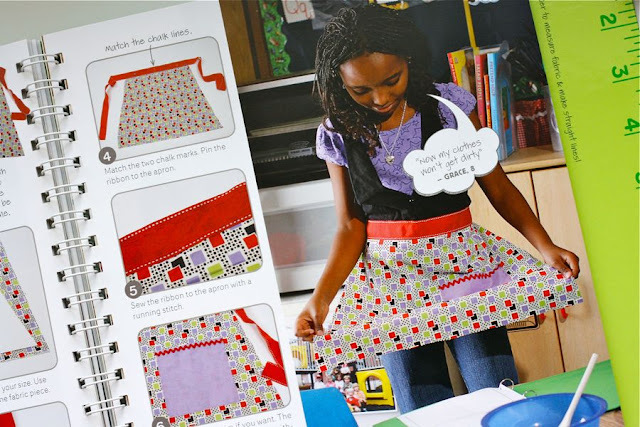 I'd love to have this book to introduce my daughter to sewing!! My kids would love to have this book! Oh gosh--this book would be perfect for my niece! My 8 year old would LOVE this! She is always asking for craft projects to do. kayteejo (at) hotmail (dot) com. 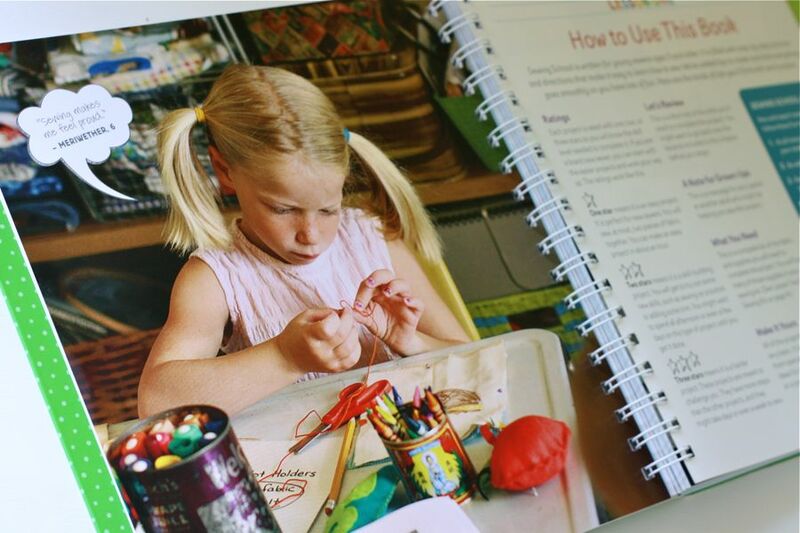 I can't wait to teach my daughter to sew & this book will be the perfect starting point! Pick me! My kid would love this book! Now that...is cool. Very cool. My boys (and girls) would love that. My kids would love this, but so would I! I would LOVE to win. I wish I had this when I was little. enter me please! I'd absolutely love to win. I really hope I win this so I won't have to run out and buy it. My 8 and 6 year old literally just asked me if they could have some more scraps and a needle. They're sewing themselves dolls, doll clothes, tiny purses, etc. and they'd really love a book that walked them through some cool projects! I'd loooove to win this book! This would be a fun book to use with my kids in a year or two. This looks great! What a cool resource and so much fun. I just started teaching my son how to sew. I would love to have a book full of ideas for him. Put me in. That book looks exceptional! A great visual reference for my budding sewist. How fun! 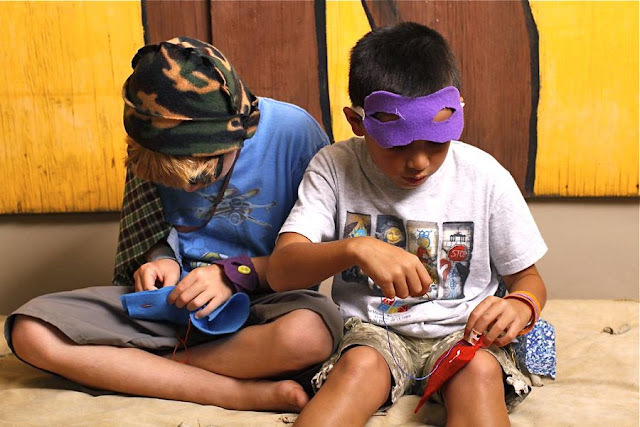 I especially LOVE the photos of the boys sewing. My 10yr old son has been asking me to teach him to sew. I hope that I'm a lucky winner. This is PERFECT! I have just been looking for more sewing projects to do with my kids and their friends! Yes, my boy likes to sew too! He would love to see a book with pictures of other boys sewing. This would make for a great summer project. I've been thinking about getting something like this for my girl...this one looks perfect! Such an amazing idea! I love it! wow! What a great book, as a homeschool mom of 4 (almost 5!) this is going on my radar! I've started teaching my oldest daughter some sewing, but can't think of very many ideas that are simple enough for her to try. This book would be great! Love the idea of a sewing book for kids. I have two daughters and a son who love to make things. This would be perfect! What a cool book! My kids and I would have a blast with all the ideas in there. Wow! So many giveaways, and they are all fantastic. Darling...something I would've loved when I was little! This book looks amazing and i would love to win it! Awesome! I've been planning to start some sewing projects for the kids and this would make it "sew" much easier! Wow! You rock the giveaways! Love you Dana! I am in love! This book would be an awesome addition to our craft/skill days in homeschool. My daughter is dying to learn how to sew, but I am certainly no pro. This book would be great. my sons teacher would love this! Pick me please--we would love it! Wonderful book! It might help me teach my son to sew! 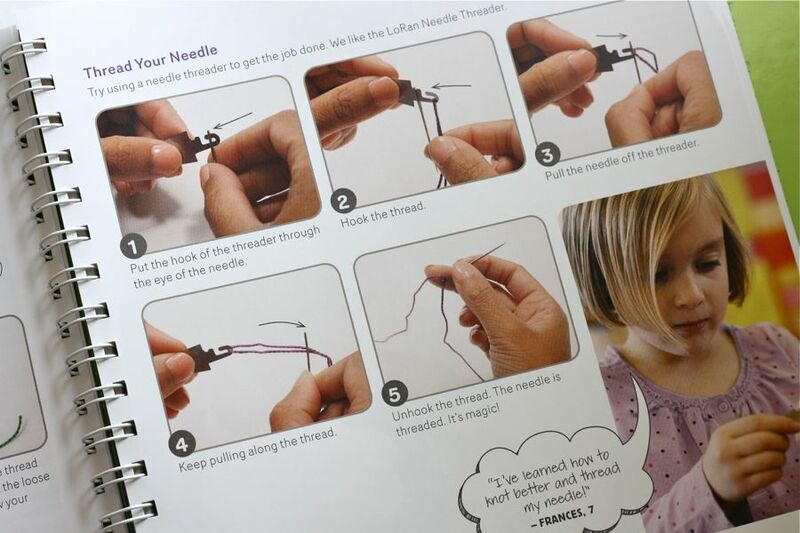 What a great book to help teach my boy how much fun sewing is! This is so great! I really think my boys will love it. Thanks! I would totally love to get this book! I'm so excited that it's not just for girls. My 10 yr. old daughter and I took three 2 hour sewing lessons in January and it really got her excited about sewing. This would be a great gift for her! Thanks for the giveaway! I would love this! So would my kids!! my kids will love this book!! what a great book! 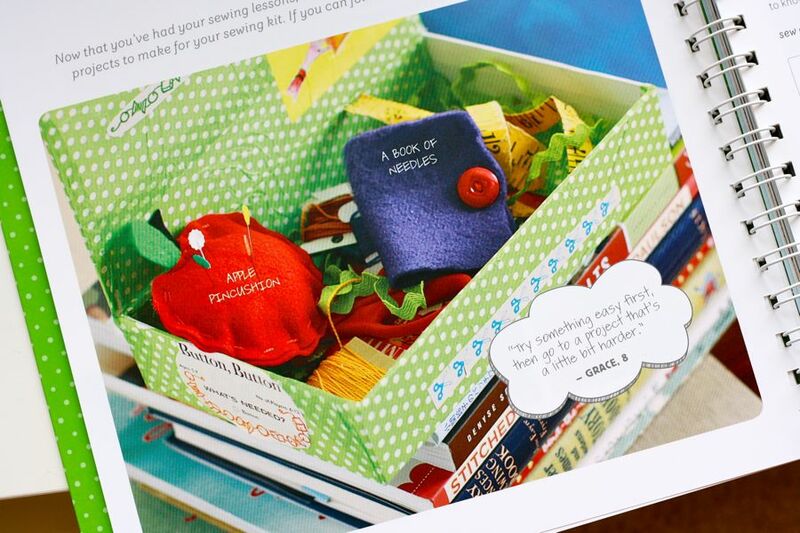 hoping this book will inspire a future mini-crafter. How fun, even if it is just for me at this point! OH!! you always find the greatest stuff! my girls would love this! thanks for the chance! I heard about this book a little while ago and thought it would make a great gift for my daughter. very cool! my girl turns 6 in may. this will be a perfect gift! aalcorn5 at gmail dot com. Awesome...MY Lucy would love this!!!! This is such a cute little book. This will be a good gift and lots of fun with my little one when he is a little older. That looks like an awesome book. Probably explains things so much better than I would! my 6 year old son asks me daily when he can learn to sew...this would be the perfect introduction! thanks for the chance. My eight year old is driving me crazy wanting to learn to sew. This would be perfect! how awesome would this be for my kiddos? thanks for the opportunity! I was just thinking about how I should probably start teaching my kids to sew. I never enter any giveaways because I never win. Oh well. Thanks anyway. 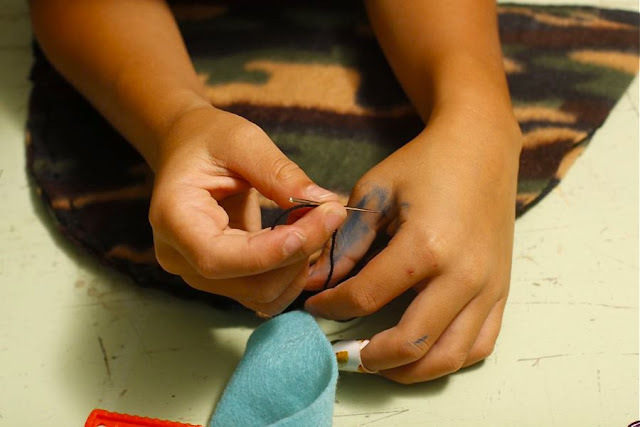 I love that they show kids actually sewing! My boy and my girl would love this. We craft all the time but are always looking for inspiration. Great giveaway. I would love to share this with my granddaughter! 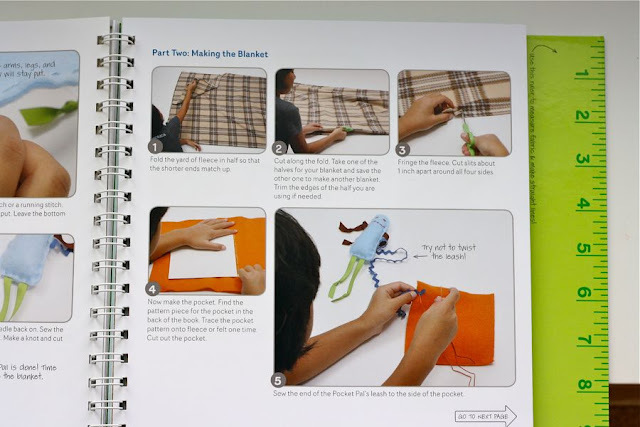 My daughter got a junior sewing machine for Christmas, and would love new projects. this book looks amazing! love the little comments from the kids sewing! Woops forgot to leave my email address. Thanks again for the opportunity to win! Oh my goodness I would LOVE to teach my daughter how to sew....what a special thing it is to pass on tradition and watch your children learn! My kidlets would love this! Both of my kids hang around asking questions anytime I start crafting. Amie really wants to sew but I'm inspiration-less as to how to teach my 3 year old! This is just the kick we need to teach this wonderful skill! Loving all the book giveaways. wow!!! two great books in two days! my little guy, at 2, is already asking to help with my sewing machine. what a perfect book to help think of ideas! 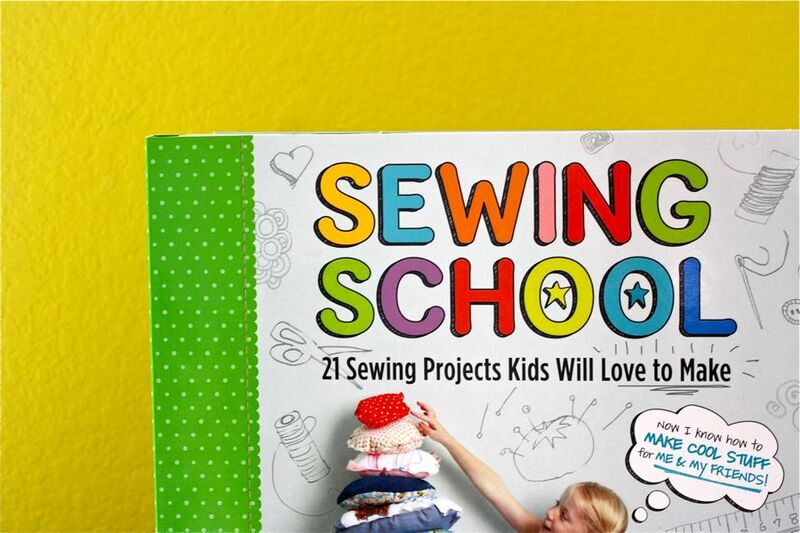 This book would be great for me to learn how to sew as well as my future children! this would be great entertainment for our school holidays in April! Very excited about this book! I would LOVE to win one. 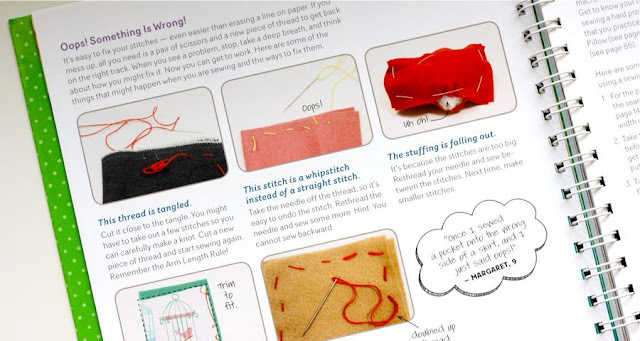 Would love to get my daughter (and eventually my son)interested in some simple sewing. Thanks! What a great idea! I would love to have this for my daughters! I have a boy who always wants to make stuff! This would take a lot of the frustration out of correcting the "mistakes." IEEEEE! I love making things with felt! Makes me feel like a kid again. Oh! What a great giveaway, I'm so excited! I already have an interested five year old boy who I have let use my sewing machine (supervised of course)so this would be so much fun- thanks so much for this great giveaway! what a great idea, my 3 year old is always telling me he wishes he knew how to sew. YAY!!! I REALLY need this book. My 9 year old daughter has been asking me to teach her to sew. This book will help get her going! Would love this for my 4 kids and nieces and nephews. What a fun thing to do. awesome! My kids would totally love this! Wow, looks like an exciting book with great projects. I just found your site and it is so nice. Thanks for sharing your ideas and such. My 2 kiddos would love to make thier own items by sewing. I'm super excited. If I don't win I'm going to have to go out and buy the book.. Thanks for sharing. I bet I could also learn a few things from it! What a great book! Love it! this book looks like sooo much fun! Awesome giveaway!! I would love to win it for all the kids in my family! This is fantastic! I have a very creative 5 1/2 year old. I think that fabric crafting is his next thing! OOO my oldest DD would love this!